The responsibilities that women had in the family and the church led naturally to related responsibilities elsewhere. Schools and orphanages and religious organizations drew women into larger fields and provided opportunities for exercising wider influence. In Sunday schools and in support of missionary work, women nurtured children and orphans, the poor and the sick, as they did at home. As teachers in the new public schools after the Civil War and as authors of textbooks—including Virginia history texts—women also educated both girls and boys in reading and writing, literature and history, civics and morals, thus preparing society's leaders to shoulder their responsibilities and society's members to execute their duties. Beginning with subjects close to the home and family, such as temperance and gambling, women brought their perspectives into the political arena even before they could vote. 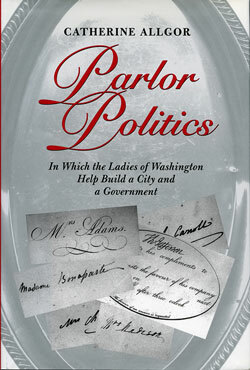 Once overlooked as sources of ideas and influence on the public stage because they had no vote, women can now be perceived in most periods of Virginia history as exercising large responsibilities in shaping public ideas about war and peace, work, gender and race relations, education, and other fundamentally important topics that affected all Virginians, not just those who voted.